Side view of a thoroughly wrapped Subaru Baja Turbo pickup truck. 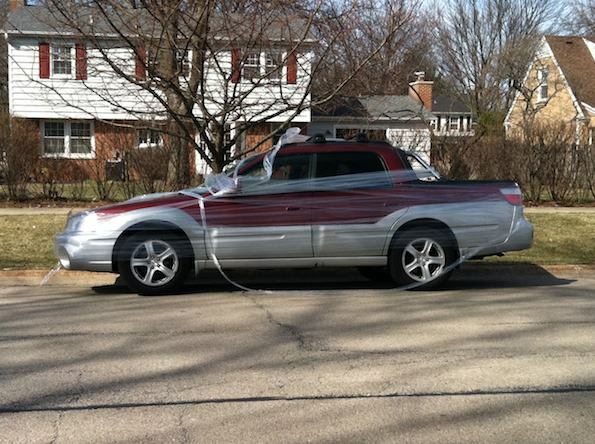 Arlington Heights police received a report about 3:30 p.m. Thursday of a car getting Saran Wrapped on Oakton Street across from St. Viator. A Subaru Baja Turbo was thoroughly wrapped. All youths were gone before police arrived. 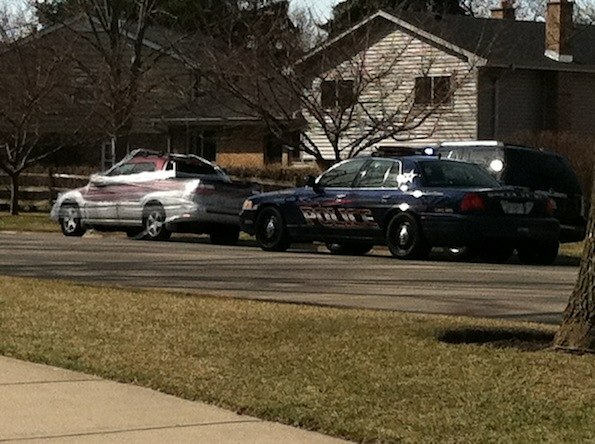 Police pretty much confirm that a vehicle has been Saran wrapped.